Joe Gurrera is the owner of Citarella, a group of popular epicurean markets, which started with one of the original and most respected neighborhood seafood shops in New York. 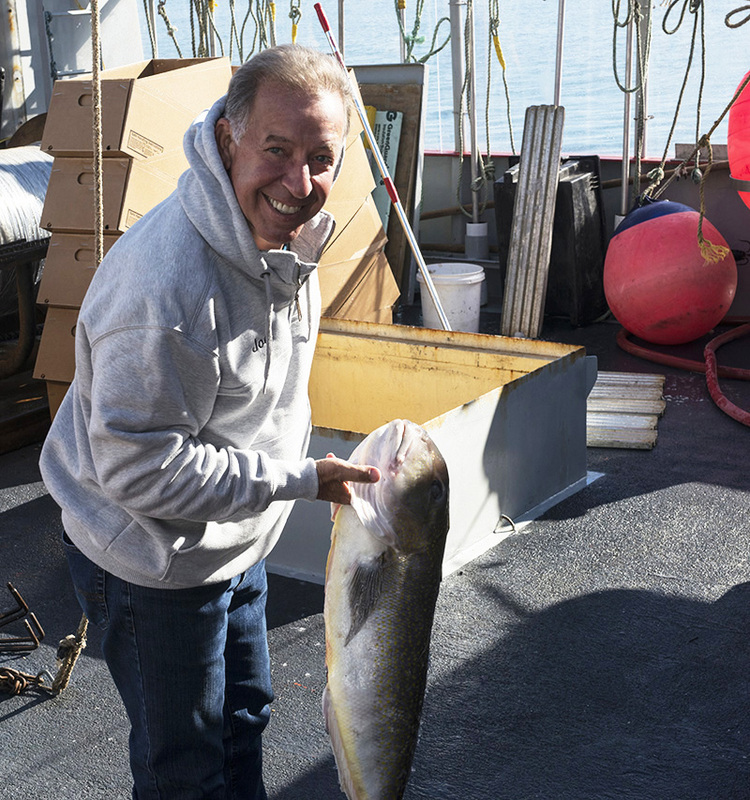 A 40-year veteran of the seafood business, Joe’s passion for fish started when he was a boy, working in his family’s fish shop in Greenwich Village. He grew up learning firsthand the subtle differences between the flavors and textures of dozens of varieties of seafood. "Fish has been my life. I love fish. I eat it five to seven days a week by choice—and I cook it myself. I want to show you how to grill the best branzino, stuff and bake a tender calamari, and broil the perfect red snapper. My goal is to show you techniques that are so simple you’ll feel at ease cooking fish any day of the week." After college Joe went into business for himself, sourcing the absolute freshest and best and supplying customers on both the East and West coast. In 1983, he purchased Citarella, then a small, stand-alone seafood shop on Manhattan’s Upper West Side. His commitment to quality was unsurpassed and he gained a large and loyal customer base which enabled him to open more stores. His presence at New York’s Fulton Fish Market allowed him to establish long-standing relationships with trusted fishermen — ones that he continues to this day. In addition to Citarella, Joe also owns Lockwood & Winant, a wholesale company at the iconic Fulton Fish Market, and the hospitality seafood purveyor Meat Without Feet, which supplies some of the most prestigious restaurants in the world. Today Joe is a food industry leader, influencing gourmet trends, with Citarella markets serving almost 5 million customers annually — and selling 2 million pounds of seafood each year. When it comes to cooking, Joe is a master at technique. From grilling, baking, and broiling to sautéing, poaching, and frying, he remains a purist, who believes that nothing should overpower the unique flavors and textures of a great piece of fish.